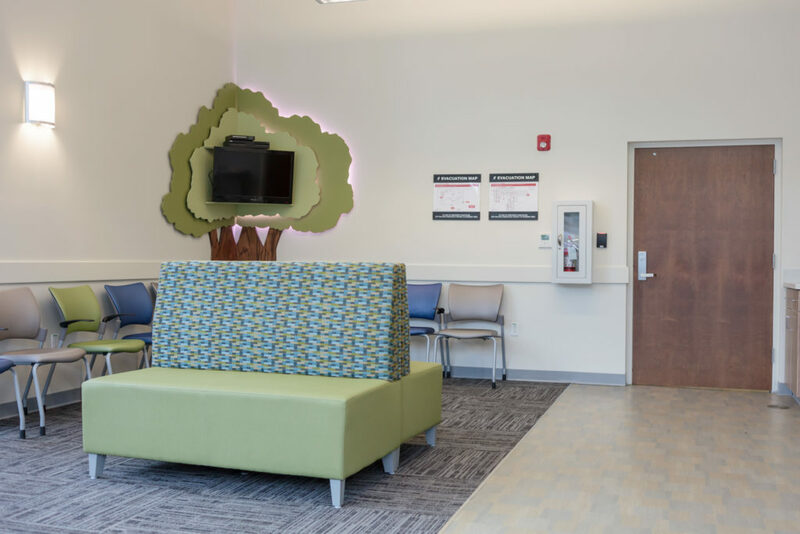 As a proven leader in the field of behavioral health, Royal Oaks Hospital stands ready to serve all acute behavioral health care inpatient needs for children, adolescents and adults 24 hours a day, 7 days a week. Our experts continually strive to set the standards in patient safety and are committed to providing the highest quality of care to you and your loved ones. Royal Oaks Hospital believes in the health and wellbeing of our patients and it shows in the care they receive each and every day. 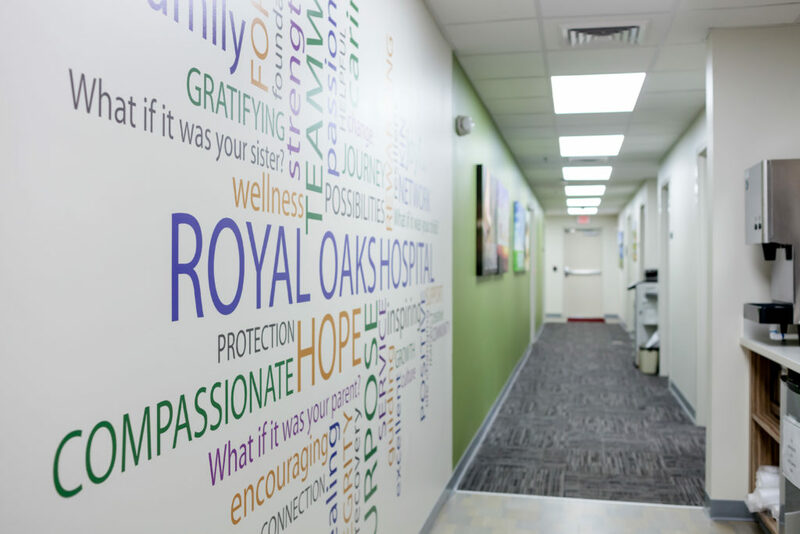 Royal Oaks Hospital is a newly renovated, state-of-the-art, 54-bed behavioral health care facility. 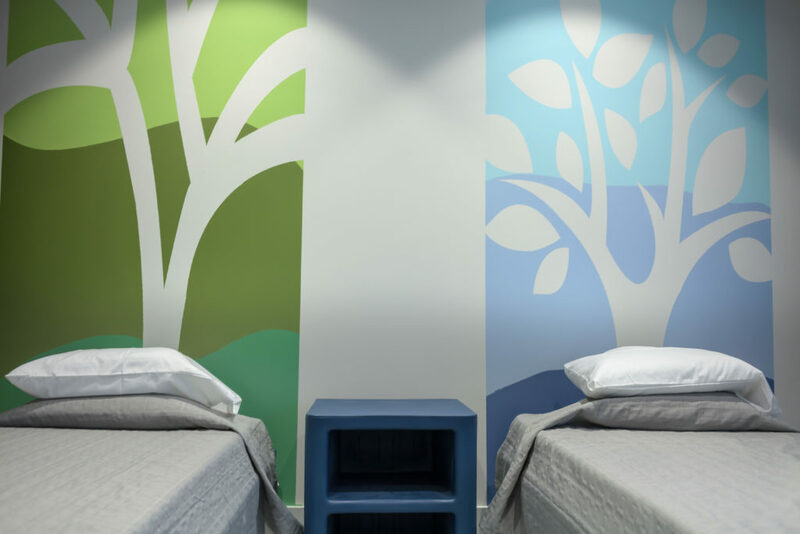 Together, our multi-disciplinary team of Adult and Child/Adolescent Psychiatrists, Psychologists, Nurse Practitioners, Nurses, Social Workers, Expressive Therapists and Education Specialists create a nurturing and inviting atmosphere which encourages both healing and growth. 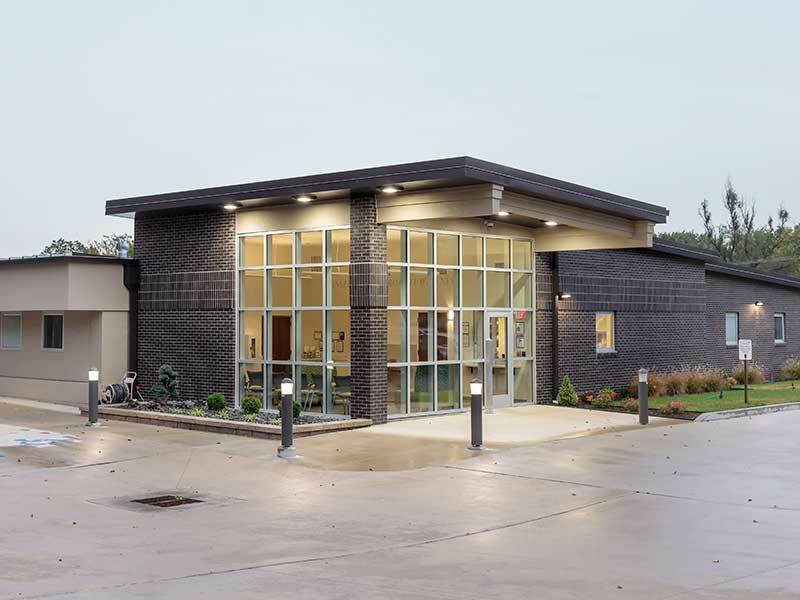 Patients and families can be assured through our academic training programs including an affiliation with the University of Missouri, that our providers are educated in the latest in medical, nursing and psychosocial behavioral health services. Royal Oaks Hospital’s objective upon admission is to properly assess each individual to ensure they receive the treatment they need in the least restrictive and most cost-effective environment. Treatment is individualized and tailored to each person’s unique needs. Upon admission, most individuals complete a multi-structured assessment which includes a medical examination, laboratory work, psychiatric evaluation, psychological testing and a psycho-social history and evaluation. Our ultimate goal is to provide a solid foundation of support and clinical expertise in the safest environment possible before transitioning patients back into the community as they pursue the next phase of their recovery, healing and overall wellness in an outpatient setting of their choice. Approved: TriCare, Medicare, Medicaid, Medicaid MC+ and most commercial insurance, HMP/PPO plans. Oakwood Hospital opened its doors in 1987 in Windsor, Missouri, with 41 beds. Under new ownership and a complete restructuring of management and clinical ideology, it became Royal Oaks Hospital in October 1992. On July 1, 2004, the hospital became a part of the Compass Health Network, allowing the organization to provide a continuum of care to the people and communities we serve. Q: How long is a typical stay at Royal Oaks Hospital? A: Each patient undergoes a multi-structured assessment phase shortly after admission. Using the resulting data, the treatment team formulates an individualized treatment plan that addresses the patient’s strengths, needs, abilities and preferences. The length of stay is based on the patient’s ability to meet the short-term goals set forth by the psychiatrist and other members of the treatment team. Q: Why is the stay so short? A: As an acute-care hospital, Royal Oaks works to stabilize rather than resolve behaviors. 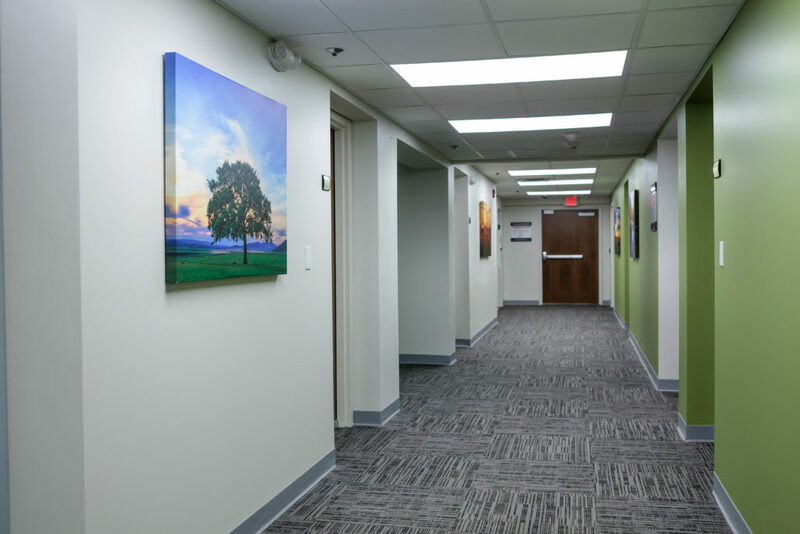 Before our patients leave, a case management professional can help family members schedule followup appointments with an outpatient therapist close to the patient’s home. A: Transportation is available upon request; however, we have limited resources. We will try to accommodate anyone in need of these services, but sometimes it may be more suitable and timely for the referral source or family member to transport a patient. Q: What ages do you accept for treatment? A: We accept most insurance, except adult Medicaid for individuals 21 years or older and younger than 65 years. Our Admissions Department can review insurance questions with you. Q: Do you have to share a room with someone? A: All rooms are semi-private rooms. Q: Are patients allowed to have visitors during their stay? A: Each unit has designated visitation days and times as well as predetermined hours during the day when phone calls can be made and/or received. Q: Does Royal Oaks Hospital have a detox program? A: We are a dual-diagnosis program and provide detox services; however, this is not considered a long-term program, and the admitting psychiatrist can require a potential patient be cleared as medically stable before being admitted. Although medications may be prescribed to help with the symptoms of detox, drugs like methadone or Suboxone are not utilized. This site is not monitored 24 hours a day, 7 days a week. This page is not a place to seek medical advice for yourself or others. Any health emergencies should be dealt with by calling 911. To access Royal Oaks Hospital services, call 800-456-2634. This page is not a place to seek medical advice for yourself or others. Any health emergencies should be dealt with by calling 911. To access Royal Oaks Hospital services, call 800-456-2634. The Royal Oaks Hospital website is for informational purposes only and is not meant to serve as medical advice or to replace consultation with your physician or mental health professional. Use of Royal Oaks Hospital’s website and social media constitutes an agreement by the users not to hold Royal Oaks Hospital or any of its employees or officers liable or responsible for information posted to blog or social media comments by persons or entities not associated with Royal Oaks Hospital. You agree that you will hold harmless Royal Oaks Hospital and its officers, directors, employees, and volunteers from all claims arising out of or related to your access or use of, or your inability to access or use, this Website or the information contained in this Website or other websites to which it is linked. This includes, but is not limited to, information or materials viewed or downloaded from this Website or another website to which it is linked that appear to you or are construed by you to be obscene, offensive, defamatory, or that infringe upon your intellectual property rights. In no event will Royal Oaks Hospital or the contributors of information to this Website be liable to you or anyone else for any decision made or action taken by you in reliance on such information or for any consequential, special or similar damages, even if advised of the possibility of such damages. You acknowledge that the opinions and recommendations contained in this Website are not necessarily those of Royal Oaks Hospital or endorsed by Royal Oaks Hospital. Royal Oaks Hospital may provide links on the Website to other websites which are not under the control of Royal Oaks Hospital. In general, any website which has an address (or URL) which does not contain “Royal Oaks Hospital” is such a website. These links are provided for convenience of reference only and are not intended as an endorsement by Royal Oaks Hospital or the organization or individual operating the website or a warranty of any type regarding the website or the information on the website.